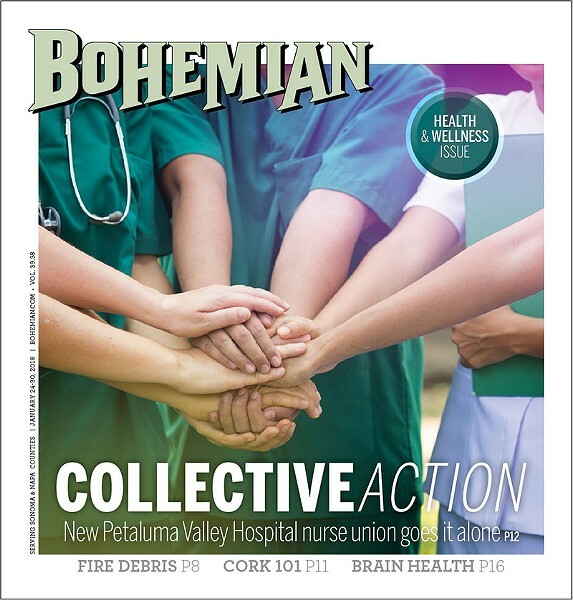 Breaking away from the powerful California Nurses Association was a long and difficult road for the nurses at Petaluma Valley Hospital, but after a more than two-year battle, the healthcare providers overwhelmingly voted to form the Petaluma Staff Nurse Partnership union last month. The move marked a rare instance of a bargaining group decertifying their representation from the powerful nurses' union. But the new union's work is only beginning. The 130-member, independent union finds itself advocating for investments in services and increased staffing from a hospital operator who may not be around much longer. While creating their own union means nurses can push for site-specific needs, will the novice organization be able to deliver a new contract for its members? The Petaluma Health Care District owns the hospital and leases the 80-bed facility to St. Joseph Health. But St. Joseph's 20-year contract expires this month. Negotiations between St. Joseph and the district broke down a year ago over a failure to agree on financial terms and preserving women's reproductive-health services. St. Joseph has agreed to stay on until September or until a new leasee is found. Paladin Healthcare, a Southern California-based for-profit company, has expressed interest in leasing the hospital, but those talks foundered over the hospital's information technology system. The district had hoped St. Joseph would leave its system behind to give Paladin a chance to transition to their system, but St. Joseph says it's simply not technically feasible to decouple or leave the hospital's technology behind. Talks between Paladin and the district appear to be breaking down, too, as neither party wants to take on undue risk. According to a Jan. 18 Petaluma Argus-Courier article, the district will explore all options, including selling the hospital and reopening negotiations with St. Joseph Health. In the meantime, the new nurse's union is in a state of limbo and alarm as nurses say the hospital's staff is stretched too thin. 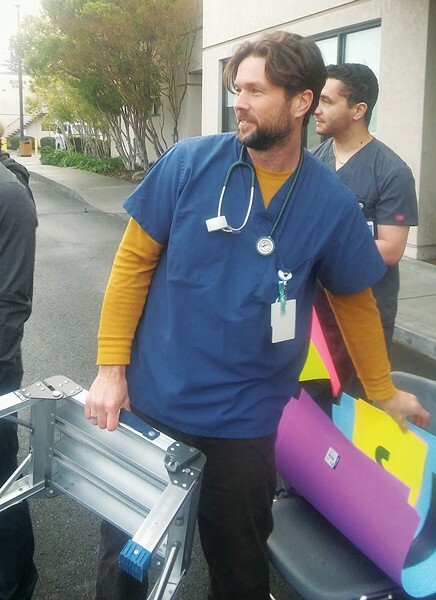 Jim Goerlich, president of the Petaluma Staff Nurse Partnership union, said the stress over the breakup with the California Nurses Association (CNA) and the time it took to create a new union took a toll on nurses. "The unrest caused a lot of nurses to go elsewhere," he says. That labor battle is over, but the nurses now face challenging negotiations with St. Joseph. Goerlich says low wages and insufficient staff are still causing nurses to leave and could put patient care in jeopardy. He says nurse wages, which range from about $40 an hour for a new hire to $75 for senior nurses, are about 10 to 15 percent lower than other nearby hospitals. "There are hospitals in either direction," says Goerlich, "where they can make $10 to $20 more an hour than they are making now." HEALTHY START Jim Goerlich helped organize nurses at Petaluma Valley Hospital into a union that broke away from the California Nurse’s Association. Now comes the hard part of negotiating a new contract. Meanwhile, Goerlich says the hospital needs to hire about 30 nurses to meet demand. "The ER hardly has anyone to pull from," he says. "It's definitely having a big effect. You can't do that day after day. At some point there will be a problem. The public has a right to know." It's not just nurses who are raising the alarm. Earlier this month, a group of Petaluma Valley Hospital physicians went public with a letter that said St. Joseph's failure to invest in the hospital is making it hard to retain doctors. The doctors said the hospital's decline is "by neglect or by design to disable and cripple" the hospital prior to St. Joseph's departure. St. Joseph spokesperson Vanessa DeGier says the nurses who have left the hospital have done so because of the uncertainty of the hospital's future operator, not due to pay or staffing issues. "Jim [Goerlich] is entitled to his opinions, though his opinions should not be misconstrued as fact," DeGier says in an email in response to questions about the hospital.